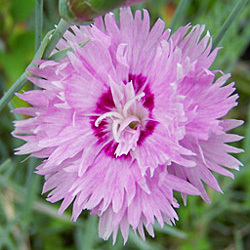 There is some dispute as to whether this is really the cultivar introduced in the late 1700's, but it certainlt fits the description. The double pink flowers have a crimson eye and are very fragrant. The bluish green foliage forms nice mats.